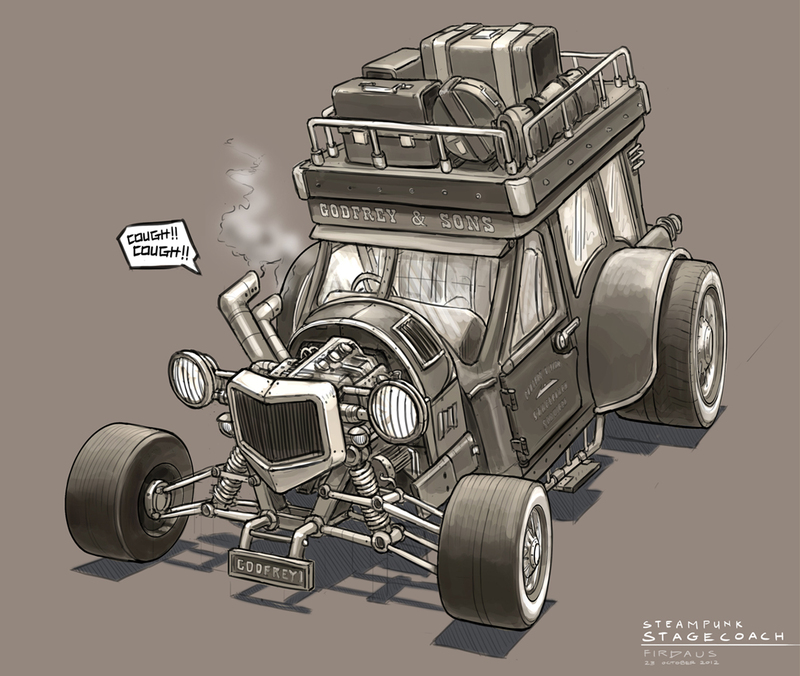 I didn't really get the chance to doodle anything while I was back in the army last week, so I spent the weekend sketching a second steampunk vehicle. I'm pretty happy with how the front portion turned out. Fret not, this is an all-terrain express stagecoach that is sure to bring you to any obscure village you desire! Godfrey & Sons never disappoint.